The application period for admission to the 2019-2020 session of the Bureau of Alcohol, Tobacco, Firearms and Explosives (ATF) National Firearms Examiner Academy (NFEA) is open to all qualified candidates. In addition to personal qualifications, trainees must be assigned to an established firearms section within the State and local agency laboratory. Agencies must have an experienced firearm and toolmark examiner on staff to guide and prepare their trainee with mandatory assignments and a research project prior to graduation from the program. The trainer will also be required to continue with a formal training program once the trainee completes the NFEA program. 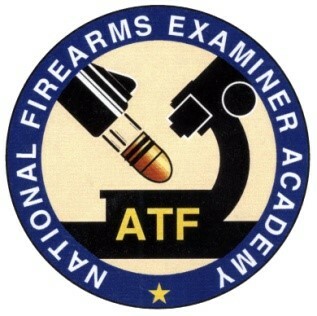 The NFEA provides training for apprentice/entry level firearm and toolmark examiners from Federal, state and local law enforcement agencies. It is important to note that the NFEA is not a certification program. The academy curriculum is composed of the fundamentals of firearms & toolmark examinations and serves as a basis for the trainee, under supervision, to develop into a qualified firearm and toolmark examiner. The application deadline for the 2019 - 2020 session of the NFEA is July 22, 2019, with selections made soon after. It is anticipated that the class will begin in October 2019 however, the training schedule is dependent on the receipt of funding and may be adjusted accordingly. Although the training is free, agencies will be responsible for covering round trip travel expenses for their trainee to travel to the academy for Phase II and Phase IV of their training.